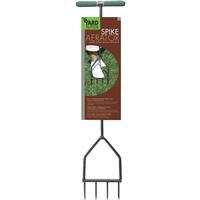 YARD BUTLER SPIKE AERATOR TLYB7C � Is your lawn gasping for air? Over time lawns become compacted and thatch builds up to create a barrier keeping water and air from reaching the roots. Healthy roots are essential to good lawn growth. The Yard Butler Lawn Spike Aerator has four strong spikes that loosen compacted soil and penetrate thatch so air, water and fertilizer can promote vigorous root growth and strengthen tolerance to drought and heat stress. Spike aeration is also great to prepare an existing lawn for re-seeding or over-seeding and for fertilizing. The heavy duty powder coated steel is guaranteed to last a lifetime. 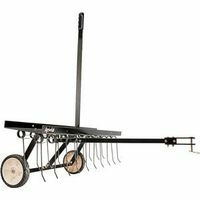 Advantages: Four 3″ spikes loosen compacted soil and penetrate thatch Promotes vigorous root growth, strengthening tolerance to drought and heat stress Reduces soil compaction, water run-off and puddles Steel; 37 inches tall, 9 inches wide, weighs 4 lbs . Manual Lawn Coring Aerator D-6C Manual Lawn Coring Aerator Advantages: Reduces soil compaction, water run-off and puddling Lets air, water and fertilizer get down to the roots Your lawn will look better with less water and fertilizer Breaks down thatch Promotes vigorous root growth, strengthening tolerance to drought and heat stress Extra durable, all steel construction Core Aerator Description: The Only Core Aerator You Should Consider Old lawns and lawns where a lot of activity takes place become compacted. Also thatch from dead leaves and roots builds up creating a barrier, keeping water and air from reaching the roots. The symptoms are thin turf with poor color and bare patches that don’t respond to watering and fertilizer. Core aeration reduces compaction and thatch to let air, water, and fertilizer down to the root zone. Core aeration also stimulates root growth by “pruning” the roots. As an added benefit, the cores deposit valuable micro-organisms on the lawn surface. Finally your lawn can breathe! The Yard Butler Core Aerator Really Is a Better Aerator! The Yard Butler Core Aerator has a smooth “powder coated” resin finish that resists rusting and core punch tubes that help prevent removed soil from compacting in the tube. For best results water your yard thoroughly before aerating. If you have rocky, highly compacted, root-bound or very “sticky” soil, such as due to high clay content, you should start with the Yard Butler Spike Aerator. 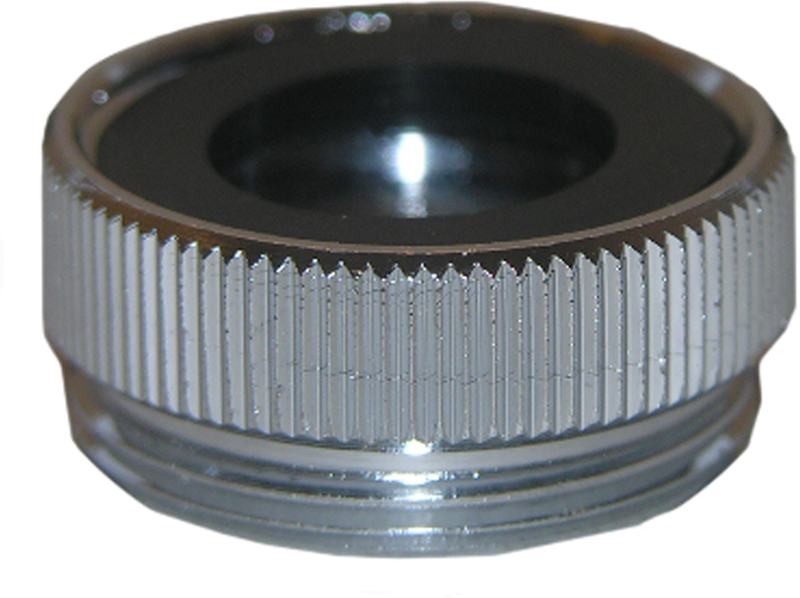 The Spike Aerator provides most of the benefits of the Core Aerator for these difficult conditions. Yard Butler’s design engineers put a lot of thought into their tools. When you own the Yard Butler Core Aerator you’ll see the difference it makes. How The Yard Butler Core Aerator Can Give You a Lush, Beautiful Lawn Professionals recommend using the Yard Butler Core Aerator both Spring and Fall, depending on the type of grass, but aeration is good for lawns anytime. Your lawn care professional can tell you the best times to aerate in your climate zone. For large lawns, simply choose a different smaller section to aerate as part of your regular maintenance. The difference between aerated and not-aerated sections will soon be apparent. Get that Yard ready to Flourish! Help Your Lawn Get Air and Water to its Roots! This 40" Tow-Behind Plug Aerator is a Wide, Heavy-Duty Implement, which gets your Yard Ready to Fertilize and Feed. Aids your Lawn's Health by Allowing the Fertilizer, Water and Air to get more Quickly into the Soil for Better, Faster Growth and Deeper, Stronger Roots. It is recommended for use on Lawn Areas requiring a Deeper Aeration. Continual use of a Plug Aerator will provide a Denser, More Plush Lawn. Weighty 12 Gauge Weight Tray. 32 Plugging Tines - 4 Welded Tine Sections Rotate Independently on Turns. Wide 40" Working Width Plug Aerator. 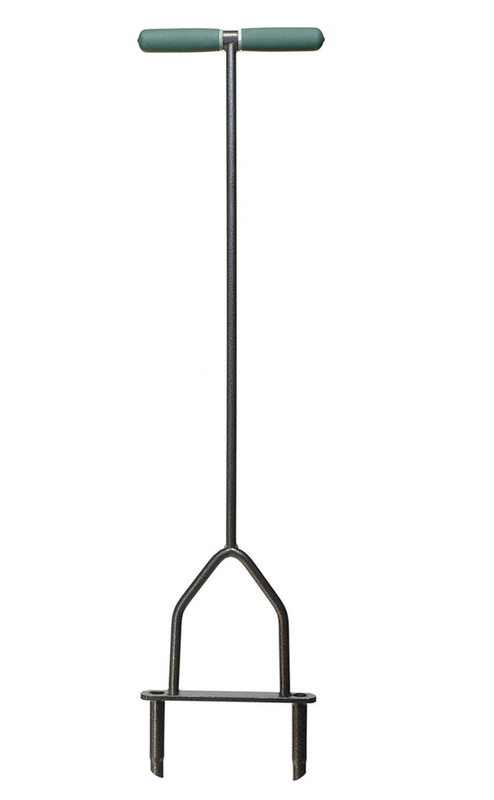 Single Steel Center Lift Lever Adjustable from the Tractor Seat. Get that Yard ready to Flourish! Help Your Lawn Get Air and Water to its Roots! 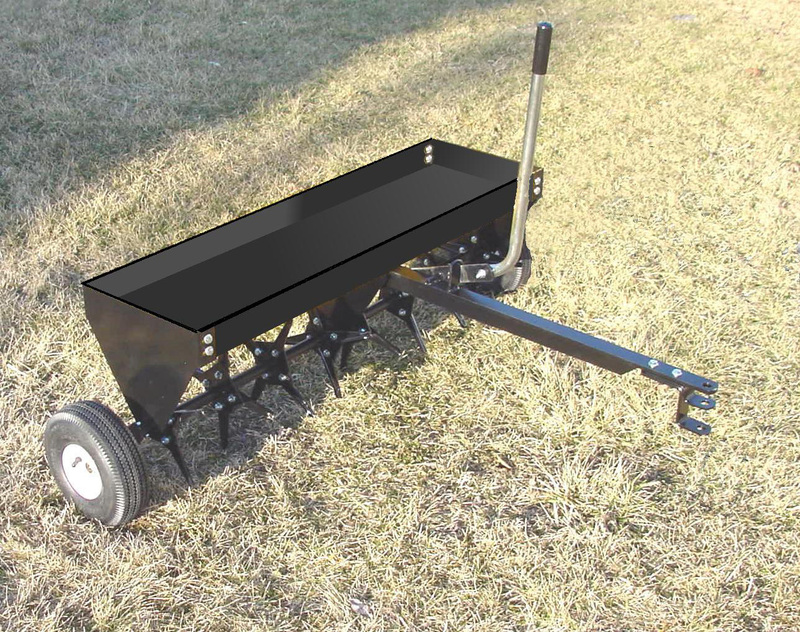 This 40" Tow-Behind Aerator gets your Yard Ready to Fertilize and Feed. Aids your Lawn's Health by Allowing the Fertilizer, Water and Air to get more Quickly into the Soil for Better, Faster Growth and Deeper, Stronger Roots. The Easy Adjustment Mechanism Allows you to Engage the Wheels from the Seat of the Tractor for Smooth Transporting over Gravel Areas, Driveways And Sidewalks. 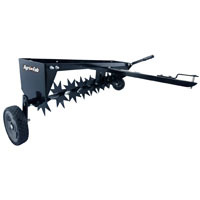 Use your 40" Spike Aerator often for a Healthier, Well-Maintained Lawn. 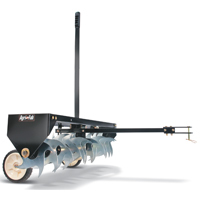 Wide 40" Working Width Spike Aerator with 8" Transport Wheels. 156 Tine Tips - 12 Tips per Tine Blade, 13 - 8" Diameter Tine Blades. Rugged 12 Gauge Weight Tray. Recommended Load Capacity - 100 lbs. Maximum. Help that Yard Grow Fuller! Our 40" Tow-Behind Dethacher helps Keep the Yard Healthy. The Perfect Implement to use on Medium to Large size lots. Recommended for the Lawn Connoisseur ... who is Serious about keeping their Lawn "Thatch-Free". Regular Dethatching will Allow your Lawn to Breathe. With its Individually Flexing Tine Tips that are 3/16" Diameter with Triple Coil Strength and Heavy Gauge Steel Chassis, this unit is Made for Dependable Service. It also utilizes a Pin Type Adjustable Hitch for Various Rider Heights. Wide 40" Working Width Dethatcher with 8" Transport Wheels. 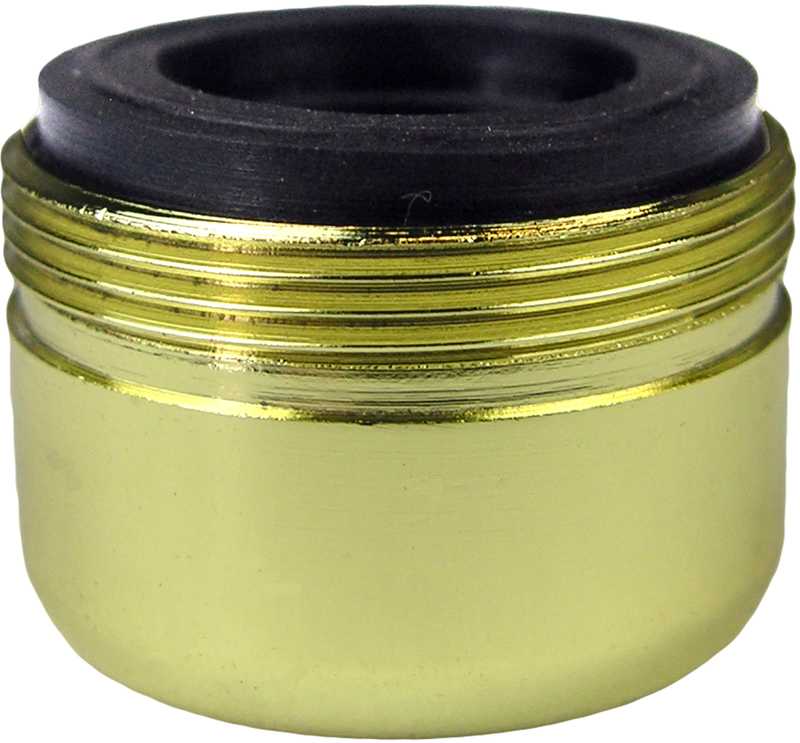 Individually Flexing Tine Tips; 3/16" Diameter with Triple Coil Strength. Adjustable Hitch for Various Rider Heights. weight tray, (12) 9" diameter spike disks, 7" x 1.5" semi-pneumatic transport wheels. 64 lbs. tool weight. Sun Joe Dethatcher - electric - Green. LET YOUR LAWN BREATHE. 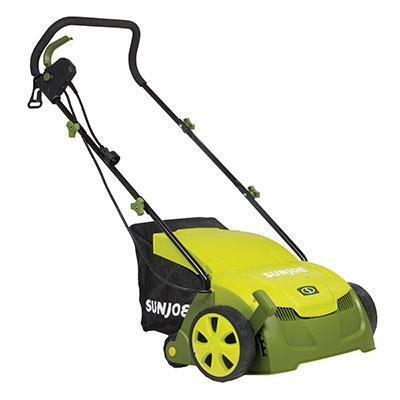 Get your lawn in top green shape with the Sun Joe Dethatcher Joe AJ801E 13-inch electric scarifier + lawn dethatcher. Powered by a robust 12-amp motor the Dethatcher Joe rakes a 13-inch wide path in a single pass to get your job done fast. Enhancing its raking ability is AirBoost technology which maximizes thatch pickup with spring steel tines that stay sharp longer for reliable performance. 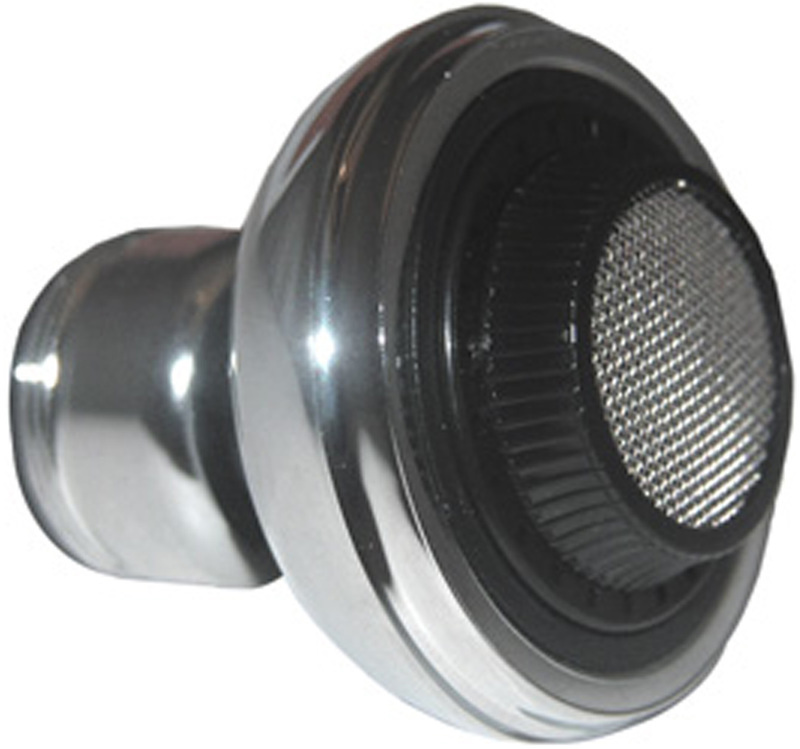 Use the 5-position depth control knob to tailor the raking depth from -0.4 in. (10 mm below the soil) to 0.4 in. (10 mm above the soil) depending on your lawn's scarifying or dethatching needs. Scarifying your lawn at regular intervals cuts grass roots and encourages growth for thicker healthier turf. Thatch is a dense mat of roots stems and grass clippings that accumulates on lawns over time blocking the flow of water oxygen and vital nutrients. It is important to periodically remove thatch in order to keep your lawn green and healthy. While ordinary ma This item cannot be shipped to APO/FPO addresses. Please accept our apologies.